on advocacy communication in a mobile world. 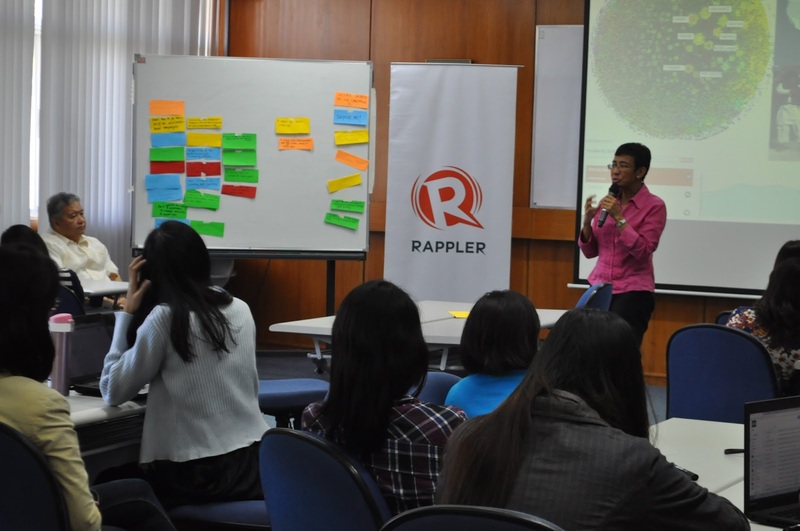 LOS BAÑOS, Philippines – Representatives of the social news network, Rappler, led a workshop on 19 January at the International Rice Research (IRRI) to share ideas and expertise on using social media. Media such as Facebook and Twitter can be used effectively to communicate messages and advocacies of the agricultural rice sector in an ever-growing mobile world. “There is a need to effectively communicate rice science to IRRI’s audiences and stakeholders through these social media to gain further reach and support,” said V. Bruce J. Tolentino, IRRI deputy director general for communication and partnerships. Around 60 communicators from the offices, bureaus, and institutes of the Philippine Department of Agriculture (DA) and IRRI attended the workshop. For the first time ever, there are more gadgets on the planet than there are people, according to a GSMA Intelligence survey. Gadgets, like tablets and smartphones, are multiplying five times faster than the global population, which makes them the fastest growing manmade phenomenon ever: from zero to 7.2 billion in only three decades, according to one media report. The Rappler team, led by CEO Marie Ressa, provided some unique insights and case studies on how to use these gadgets in conjunction with social media to do advocacy work. More than just promoting causes, social media can be used to elicit audience response and create impact as well as genuine change. The workshop concentrated on two activities—executing a social media campaign and honing effective writing skills for the gadgets or mobile devices. Rappler’s Stacy de Jesus, Chay Hofileña, and Gemma Mendoza, led the workshop, which was facilitated by Zak Yuson, director of MovePH. The workshop was organized by the IPaD project of the DA-IRRI Food Staples Sufficiency Program. IPaD is a collaborative project among the Philippine Rice Research Institute, the DA-Agricultural Training Institute, and IRRI with funding support from the Bureau of Agricultural Research (DA-BAR). It aims to improve promotion and delivery of rice technologies by enhancing the capability of the next generation of extension professionals and other knowledge intermediaries.